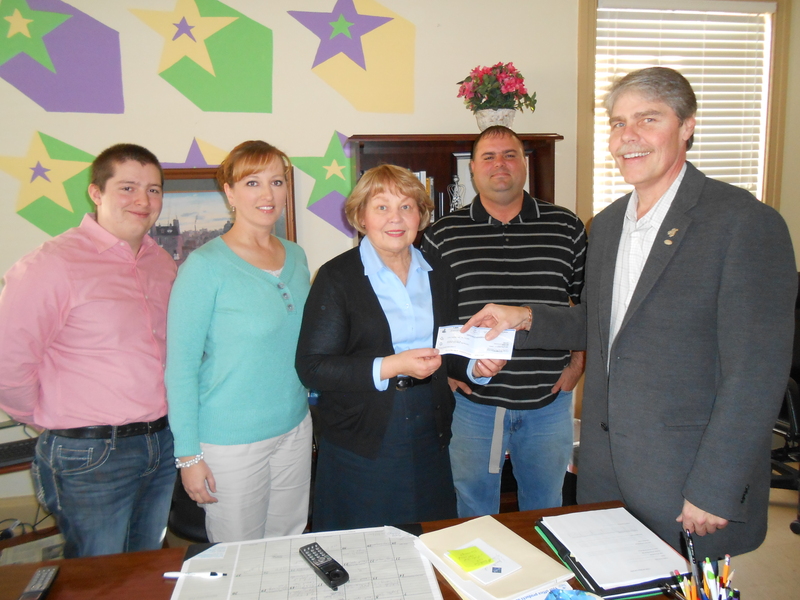 APS/LAE Present $500 Check to Sunrise Youth Services Center in London, Kentucky. On Thursday, the 11th of December, Eastern Kentucky University Faculty advisors and officers of EKU Regional Campuses' Alpha Phi Sigma and Lambda Alpha Epsilon chapters presented a $500.00 check to Sunrise Youth Services Center in London, Kentucky. Sunrise is currently working with twenty-one at-risk youths that have been placed in their outpatient care. Internships and volunteer opportunities are available. Pictured from left to right are: Skyler Mills, APS/LAE Treasurer; Carla Lawson, APS/LAE Assistant Faculty Advisor; Mary Schild, Director of Sunrise YSC; Russell McKay, APS/LAE President; and Stephen Kappeler, APS/LAE Faculty Advisor. For more information about Sunrise YSC, please visit www.sunrise.org/youth-support-center.